Put A Stop to Fall Allergies Once and For All! Autumn is in full swing and that means your fall allergies are taking over your life! It doesn’t have to be this way. You can stop allergies from ruining your fall fun and it’s simpler than you might think! Your doctor can tell you for sure whether or not you’re suffering from fall allergies. If you already know that you suffer from fall allergies, then you’re probably looking for the best ways to stop them in their tracks and put an end to your suffering. Luckily for you, there are a few easy steps you can take to provide yourself with some much-needed relief. Bathing and showering regularly will remove allergens from your skin and hair, helping to lessen the power that fall allergies have over you. 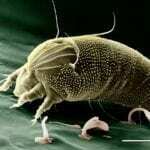 Wash your sheets and other bedding items every week to help prevent dust mite build up. If you enjoy spending time outdoors, be sure to change your clothes as soon as you go inside. Make sure you clean your heating vents before you turn on your furnace to prevent the dust, pollen and other allergens getting into the air. Change your old, dirty air filter or upgrade to a high-efficiency air filter to improve your indoor air quality. Make sure you dust all hard surfaces in your home at least once a week to remove dust and allergens. 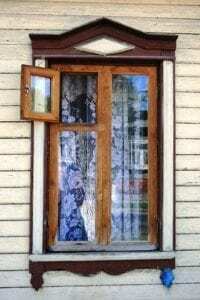 Keep your windows closed to keep allergy triggers outside. Be on the lookout for mold. Mold is an allergy many people suffer from and it can grow just about anywhere. To have your home inspected for hidden mold by a professional call 1-888-9TIGER4 or visit TrustTiger.com today! September is here already! In the Midwest, September means the kids are back at school, pools start closing down, pumpkin flavored everything hits the grocery stores. But what September is most known for in this area, is its crazy, unpredictable, roller-coaster weathe r! Yes, the next few weeks we can expect the weather to teeter between hot summer days and frosty autumn nights. One day we’ll see the temperatures reach into the high 90’s, with unbearable humidity and the next day you’ll be wearing sweaters and jackets. And there are the days that will start out on one temperature extreme and end on the other. While September tries to figure out what season it wants to be in, we’re stuck trying to keep our homes comfortable and our energy bills as low as possible. These tasks are a lot trickier than they should be! 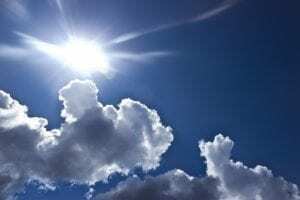 But we have the insider advice you need to know when dealing with the back and forth transition from hot to cooler temperatures. Hot weather turns cooler, so you turn off your air conditioner and open the windows. 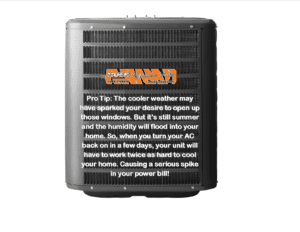 Then things heat back up, so you shut those windows and turn your air conditioner back on. We experienced this just last week. The August heat broke and we had a week or so of nice cooler, almost fall like temperatures. Then the next thing we knew, summer came roaring back with a vengeance. With this be ing the first week of September, we can expect these yo-yo temperatures to occur a dozen more times. The key here is to NOT keep turning your air conditioner on and off, and opening and closing your windows. Most people believe that doing this will save them money on their energy bill. Unfortunately, this isn’t true. Every time you open your windows, you’re not only letting the cooler air in, but your home is also filling up with humidity. When you turn your air conditioner back on, it will run twice as long and twice as hard, to both cool your home and remove the humidity, which in turn will cost you big bucks on your energy bill. Instead of turning your air conditioner off and opening a window, simply turn the temperature up. Your unit will run less, you’ll still be comfortable and you’ll see the savings on your energy bill. Fall allergy season is just around the corner. Are you ready for the itchy, watery eyes, the running nose, the stuffy head, the sore throat, the coughing, sneezing and all of the other lovely symptoms that accompany your seasonal allergies? If you’re like most people who suffer from seasonal allergies, you spend most of autumn indoors trying to avoid all of the ragweed and mold in the air. Unfortunately, the air indoors is often much worse for your allergies than the air outside. Ragweed can be dragged in with you when you enter your house. Mold thrives anywhere damp and may already be in your home. 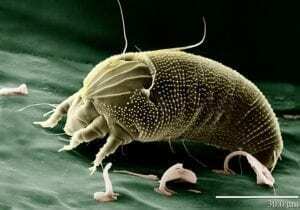 Dust mites are likely already clinging to just about every surface. And there are dozens of other indoor pollutants, floating around in the air you’re breathing. Every time you inhale, you may be breathing in all of those pollutants and worsening your allergies. Additionally, if you live in a home with poor indoor air quality, you can suffer from frequent headaches, chest colds, worsening of your asthma symptoms, bronchitis and other respiratory issues. So, does that mean you’re doomed to spend every fall in misery? Not at all! By switching to a High Efficiency Air Filter, you can help lessen the power seasonal allergies have on your life. Most heating and cooling systems still use a basic air filter. These filters were originally designed to protect the equipment and not the people served by the equipment. The average air filter is only capable of removing three to five percent of the particles that pass through it, l eaving 93-95% of all indoor pollutants in the air you’re breathing. 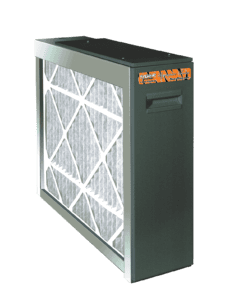 Today, they are several types of permanent air filters available in various efficiencies that can help you filter the air in your home. We can even provide you with the same type of air filter used in hospital operating rooms. So, not only will your seasonal allergy symptoms improve, but your indoor air quality will be much better all year long. Check out TrustTiger.com or call 1-888-9TIGER1, for more information on how a High Efficiency Air Filter can improve your indoor air quality and your life! Be sure to check out Tiger Plumbing, Heating, Air Conditioning and Electrical Services on Facebook, Twitter, Pinterest, LinkedIn and Instagram!